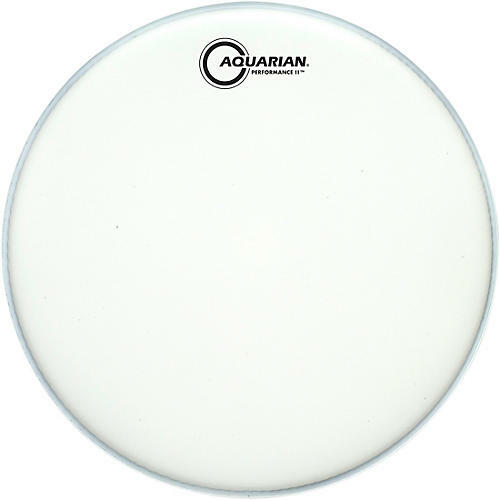 The Texture Coated Performance II is a two ply head manufactured with Aquarian's Vacuum Molded Process which eliminates air bubbles and wrinkles between the two plies. The two 7mil plies are sealed only at the edges which tame unwanted overtones and puts the focus on the low frequencies. The PFII is designed for loose tuning to deliver that low, fat, punchy sound that was a big part of classic rock and roll recordings. The texture coating warms up the tone. The built-in frequency control adds focus and power.